My daughter wants EVERY color in her room (but still managed to pick a sophisticated neutral for her walls! It's a Behr color called Gourmet Mushroom.) So how to incorporate fun, bold accents? We found this great vintage French Provincial four poster and it occurred to me that it would be PERFECT for a certain someone's space. 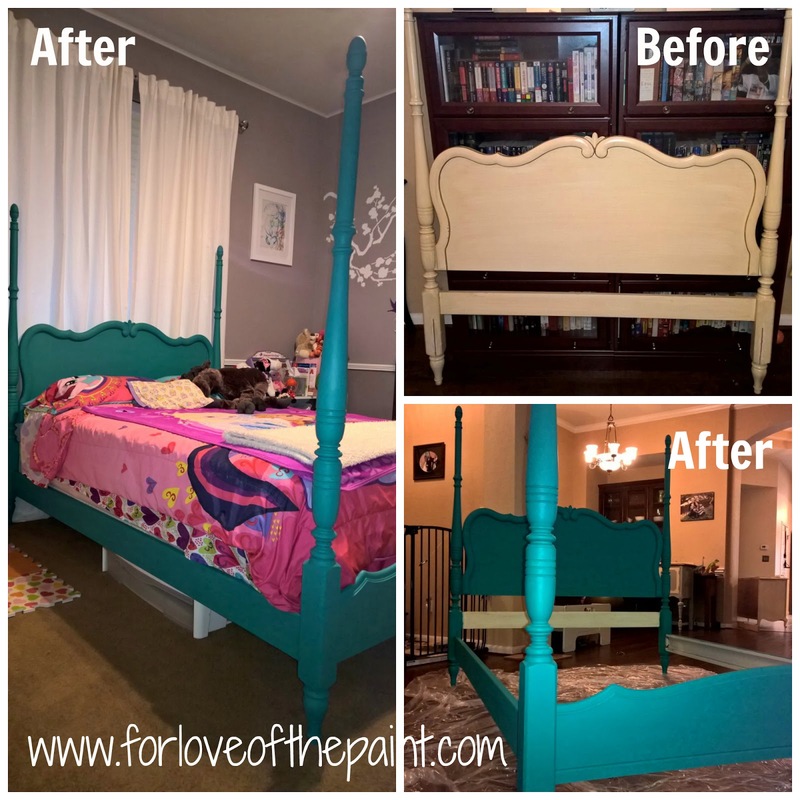 I used one of my favorite colors, which is Annie Sloan Chalk Paint in Florence, for a (long) one-day project to surprise her! Feeling inspired? The next home project is a Murphy Bed for our guest room, so stay tuned! We also have several client requests coming in the next month - some stunning highboy chests of drawers :) never a dull moment! I'm so excited to see the end results!